Finding an alternative to wrapping paper can often be a tricky proposition but cloth can be a fantastic alternative. Historically people all around the world have made use of cloth to wrap their precious items. The Japanese have always done this with exceptional skill and beauty, traditionally in the form of furoshiki. This is the art of wrapping using a single piece of cloth and a series of folds, twists and ties to secure the load. The azuma bukuro has its roots in this domestic art. 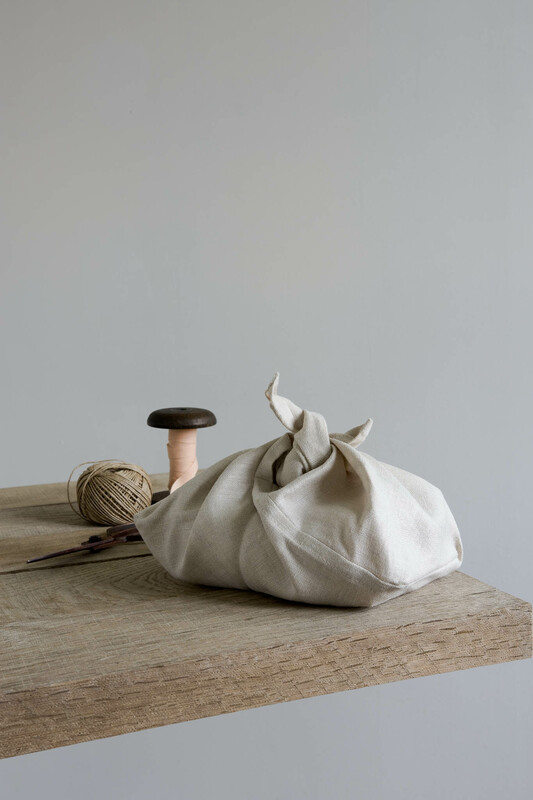 Its ingenious construction is cut from a single piece of cloth and produces a neat, strong and delightful bag. 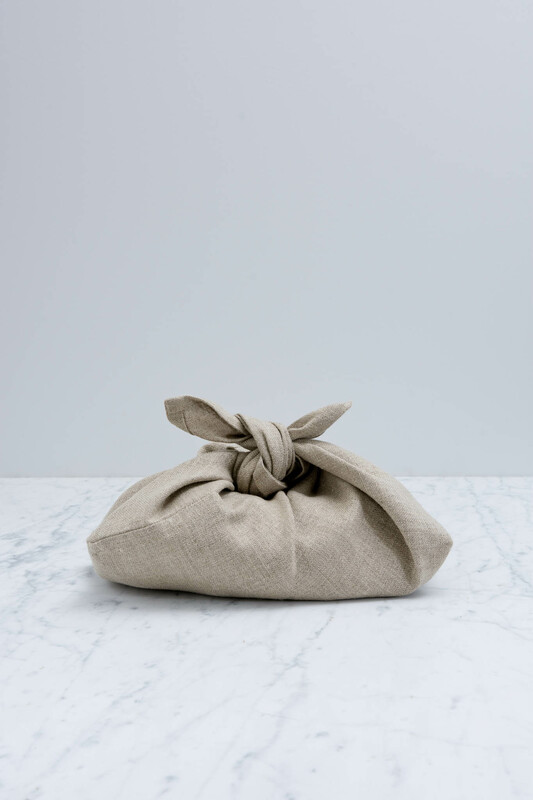 The CROP linen Azuma can be used for shopping at the fresh food market; carrying a picnic or your mid-day meal; collecting grains at the deli or as our title suggests, presenting special items to a friend. 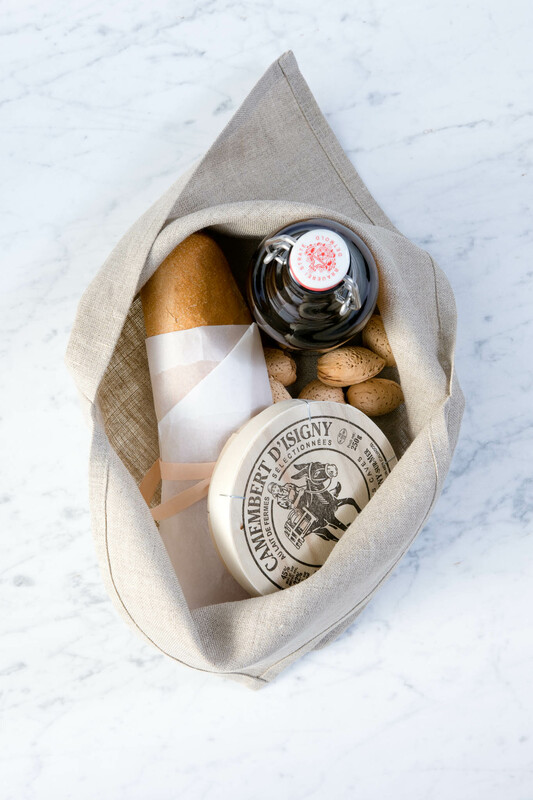 As a gift bag, they are refreshing in their re-usability and constitute an additional gift that your recipient can use over and over again in their own home. In preparing your gift, simply place the item/s inside the Azuma and using the two ‘ears’ tie a double knot. You can attach a tag to a ribbon and tie the ribbon into the knot of the bag. Tie a small bouquet of wild flowers underneath the knot for an authentic and charming presentation. If invited for afternoon tea or an intimate catch-up with a friend, it can be a lovely idea to take-along a home-baked gift or treat in an Azuma. 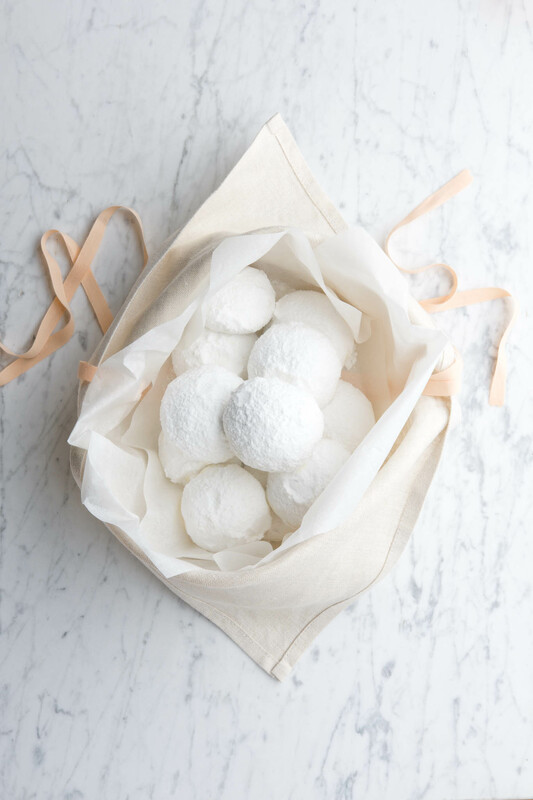 Line the Azuma with greaseproof paper before placing the goodies inside. They are always very well received. The Azuma results in a simple, elegant and luxurious wrapping to present your gift. Our Azuma’s are available in three sizes in flax and natural. If you have a particular gift that you would like to present in an Azuma but need advice on size, send me a message and I can help you find the most suitable option.